If you have a cat, you already know that whatever you thought was yours is actually claimed by your furry friend. This doesn’t mean that your cat likes your stuff more than you. 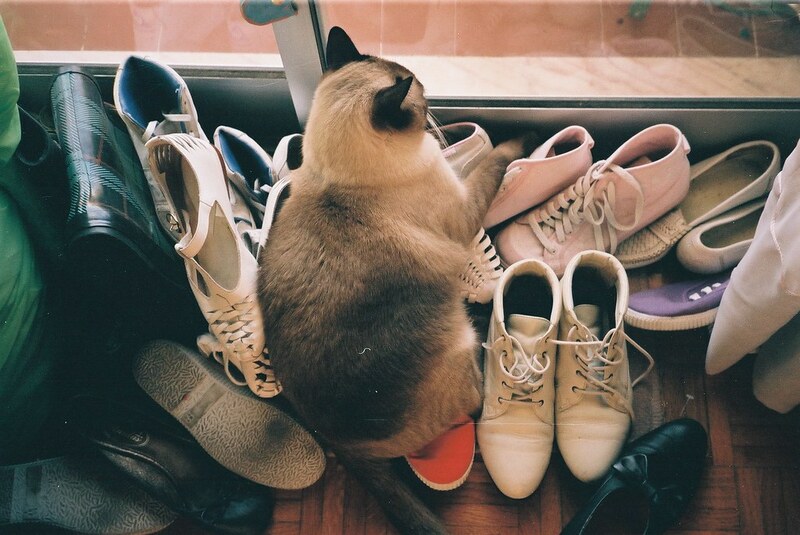 The study has proven that when your cat sleeps on your clothes or sits on your shoes, it is because they want to be near your scent without coming into actual touch with you. Of course, this derives from their naturally arrogant behavior which makes them want to be the center of the universe. Bright Side collected 22 photos that accurately depict the level of arrogance cats have, which makes them act like they own everyone and everything around them. 1. Like the cone of shame wasn’t already enough. 2. This is why you don’t buy expensive stuff when you have a cat. 4. “Move human. You’re blocking the TV”. 5. There’s no way you’re leaving the house with shoes on today. 7. Say goodbye to your knees. 9. This is what happens when you plan on not sharing your pie. 10. Here’s how you make a good entrance. 11. You thought you were going to work today? Ha! 13. If you were looking for compassion, just forget about it. 14. No omelet for you today. 17. And you wondered why you woke up soaked in sweat. 18. Like mornings weren’t hard already. 19. Poor, little baby fighting the heartless enemy. 20. At least she sat on the part you had already completed. 21. This spot is taken. Keep moving if you don’t want scratches on your windows. 22. Obviously there wasn’t any other spot to sit. How many times has your cat acted like he or she owned the place? Please upload your photos in the comments to share your funny moments with us.